This sale is full of beautiful spiritual objects, ornate furniture, clothing, and outdoor items. More information and pictures coming soon. 50% OFF! Awesome Ashland Estate Sale! *SOLD OUT* Model Home Contents Sale in Charlottesville! 2 Days Only! *SOLD OUT* Model Home Contents Sale in Hampton! Great Glen Allen Estate Sale! ALL FURNITURE IS SOLD Model Home Contents Sale in Williamsburg! 2 Days Only! Decor, Furniture, Tools and More in North Chesterfield! Appliances, Furniture, Decor and More in Eastern Henrico! SOLD OUT Model Home Contents Sale in Suffolk! Beautiful Bon Air Estate Sale! SOLD OUT Chesapeake Model Home Sale! Beautiful North Chesterfield Estate Sale! Charming Colonial Heights Estate Sale! West End Henrico Estate Sale! Wonderful West End Estate Sale! 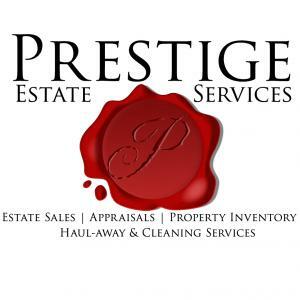 This company has posted a total of 213 estate sales. Only the most recent 50 sales are shown.